An EU plan for migrant resettlement is set to be announced next week. 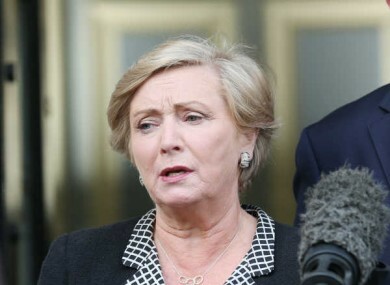 MINISTER FOR JUSTICE Frances Fitzgerald has this morning said that Ireland could potentially take in 1,800 refugees. This brings Ireland past its previous commitment of 600. Next week the European Union is set to announce its plans for the resettling of migrants across the region. Earlier today Bob Geldof stated that he was willing to take four refugee families into his home. We want to know, would you take a refugee family into your home? Email “Poll: Would you take a refugee family into your home? ”. Feedback on “Poll: Would you take a refugee family into your home? ”.